On a bright morning in the suburbs, a family moves into the house they've just bought on Trinity Avenue. When Fiona Lawson arrives home to find strangers moving into her house, she is plunged into terror and confusion. She and her husband, Bram, have owned their home on Trinity Avenue for years; how can another family possibly think the house is theirs? And why has Bram disappeared--along with their two young children--when she needs him most? Fiona (Fi) Lawson and her husband Bram have separated but are trying a "Bird's Nest" custody agreement in order to have shared parenting of their two boys. One parent is at an apartment while the other parent has their time with the kids at their enviable home in a well-known suburb. This way the kids are always at the house and the effort for stability is enforced as each parent takes turns between the house and the apartment. They try their best to keep everything together in a civil manner for the kids. That is until everything fell apart. One day Fi comes to the house for her turn with the kids but someone else is moving into her house and her husband and children are nowhere to be found. How can everything turn upside down in an instant? When the rug gets pulled out from under you by those you trust. This story is told through alternating perspectives between Fi in a podcast transcript format and Bram in a Word document. It was a unique way to read a story that I had not experienced before but once I got used to it, I enjoyed it. I honestly can't decide if I liked the comments that were added at the end of each segment of Fi's podcast with usernames and comments but they did eventually grow on me as the comments became funnier. It kind of reminded me of the comedian Jim Gaffigan and how he imitates what he thinks the audience thinks of him during his skits. It also reminded me somewhat of Shakespeare's use of the chorus as a character in some of his plays. Although some of the surprises were predictable, there is so much going on as the complex plot builds that it is almost a relief to have the main character, Fi, discover these secrets. The storyline accelerates as the pieces begin to fit together so, as a warning to my fellow readers, it is increasingly harder to put down the further into it you get. This is a twofold story about loyalty: between spouses and between friends. A balance between renewed faith and betrayal. I highly recommend it for adult readers that enjoy a thrilling plot and betrayal. For those who may be sensitive/triggered: there are themes of violence, murder, road rage, manipulation, fraud, adultery, sexually suggestive scenarios (mild), bullying, suicide, and alcohol abuse. Please note: an electronic ARC copy of this novel was generously provided by the publisher via NetGalley in exchange for an honest review. It was good . Interesting slow in some spots. 3 stars outta 5. Going back and forth in time, Louise Candish tells the story of Our House in the point of view of the two main character's voices. 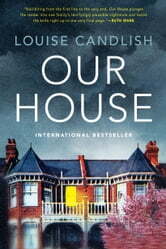 Ms Candish does an excellent job of weaving these narratives together with some twists and turns. I was given an early copy to review. Oh wow! Brilliant! (And I say that in the most British of ways about this very British book.) I was intrigued by the premise of this one after reading the synopsis, but it delivered so much more than I expected. 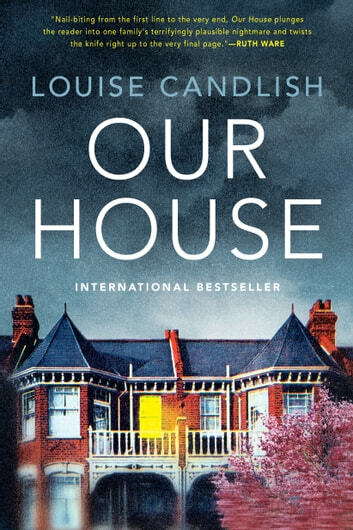 I love the way Louise Candlish chose to structure the story with three different viewpoints, leaving us wondering which viewpoint was ultimately the correct one - not that anyone here is really “correct”, despite their efforts. There are surprises, including at least one jaw-dropping one for me. It kept me up way past my bedtime reading the last few chapters because I couldn’t sleep until I knew how it ended. And then that ending! I’m pretty stingy with 5-star reviews, but this gets 5 stars from me. I’ll definitely be looking for more from Louise Candlish. Thanks to Netgalley and Berkley Publishing Group for providing a copy for an unbiased review.